There were lots of things I liked about this dress when I found it... I loved the color, the mini black polka dots, the nice cottony fabric. It even had pockets! However, the mandarin collar, sleeves, and length of the stress just were not working! This one gave me some problems but I love how it turned out! 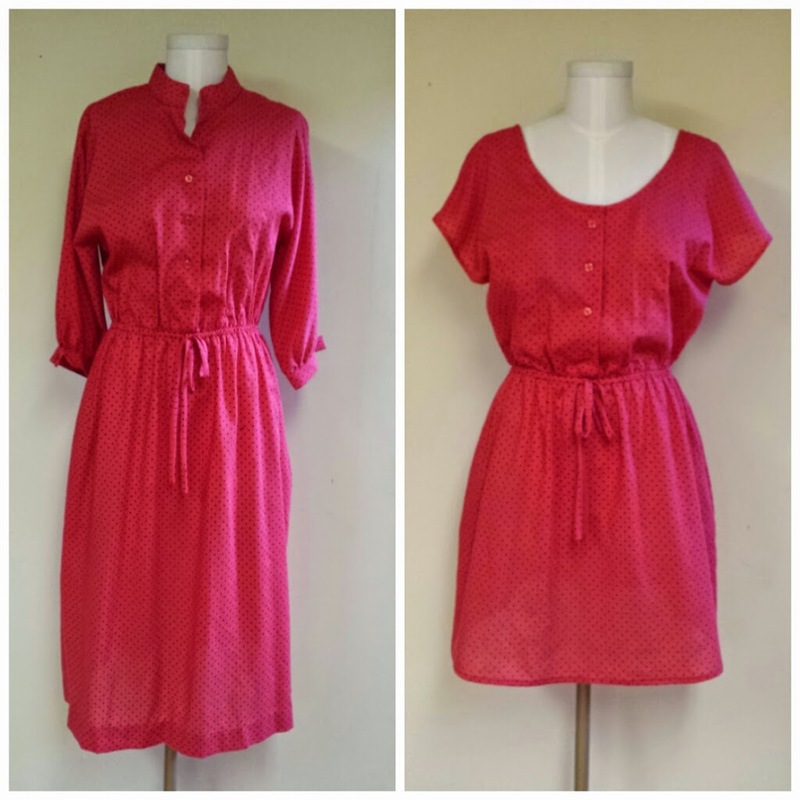 For more details on this vintage refashion and to see other vintage refashions, please visit my blog at Love Street Salvage. This dress makes me smile. The after will be such a fun and cool dress to wear. I need to look through my refashion stash for a dress to bring up to date like this one. I love the refashion too! It's cute and flirty. Great job! So cute...I want this dress! :) Great job, Kristal!